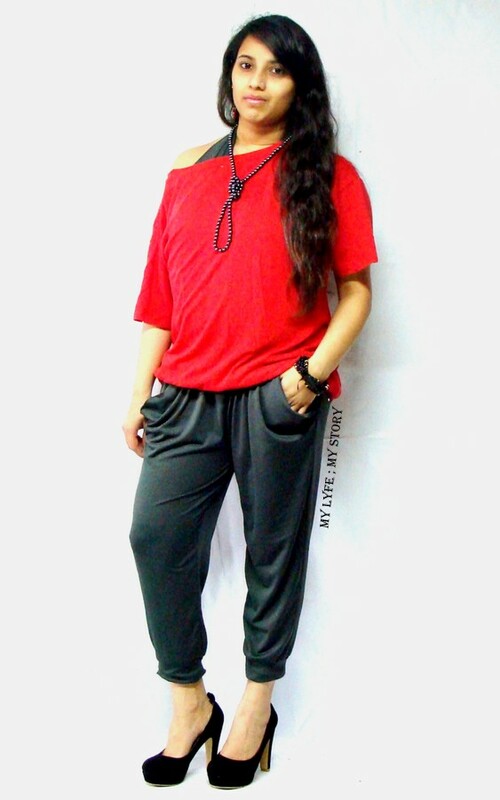 My last and final outfit post featuring Leisure Hang Up Jumpsuit from MartofChina. (maybe after my midterms are over). Thank you so much for all you support, I really appreciate it. "This particular post is also part of my newest series called "Ways To Wear/Style". I still haven't found the perfect word for this series, but "Ways To Wear/Style" sounds perfect fine, therefore I will be sticking to this name." Well, it's the month of love and I haven't really red colour items thing month, so to support the month of love, I called this look "feel the love". Plus, this outfit is really bright and looks good for any fun filling events like a girls night out, movie date and even perfect to go shopping. (Plus, in case you are wondering for this outfit I didn't wear any earrings to give it a overall casual and effortless look). I am curious, what do you guys think of this look and do you feel the love? tomorrow I will have a poll conduct on which style you love the best! Ok fine, I love this outfit better then the last two and yes I am excited that you are going to be doing more of these unique posts. very cool style sweetie! u look lovely! new post is up sweets! Simple and chic! Love it!!! you look beautiful! that red top is gorgeous! Hey, great blog! Love your style!